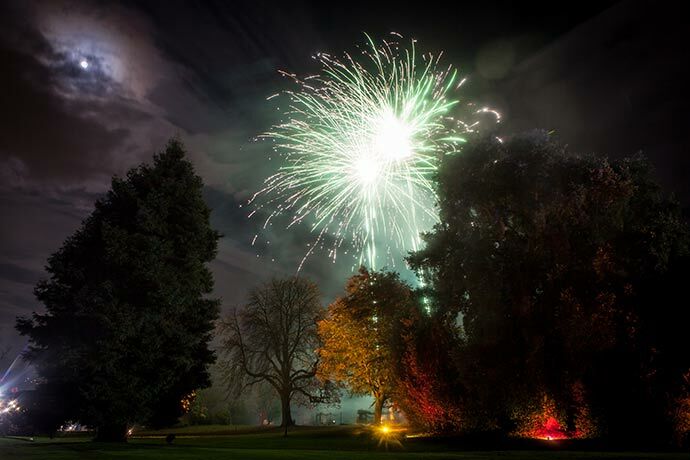 After the success of its first year fireworks and lighting show Illuminate the Gardens returns to the Botanical Gardens for three evenings this year – Friday 2, Saturday 3 and Sunday 4 November. After initial teething troubles on their first night last year, the team behind the show – Events Collective – were widely applauded for taking feedback on-board and turning things around quickly to ensure the second night was an absolute stormer. With that first year experience under their belts, we caught up with Laura Holmes from Events Collective to see how the second show is shaping up. 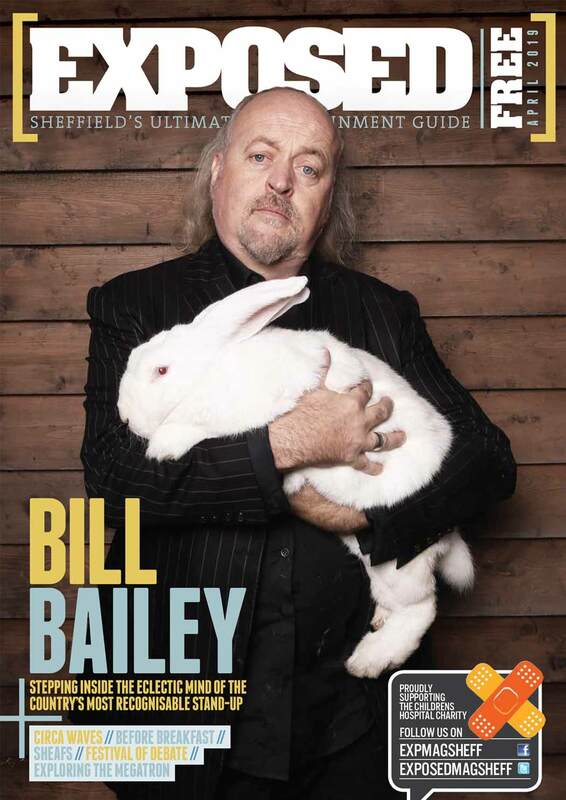 What can Sheffield expect from Illuminate the Gardens round two? We’re really excited to be back in the Botanical Gardens this year! Last year’s event was a real challenge with it being the very first one and the first time we’d worked at that venue – we learned so much and it will be great to be able to put all of that fully into effect for this year’s show. As well as making sure we get the layout, lighting and signage right, we’ve got lots of new lighting features to increase the wow factor even further, plus the fireworks shows will be longer and the main display will be set to music. 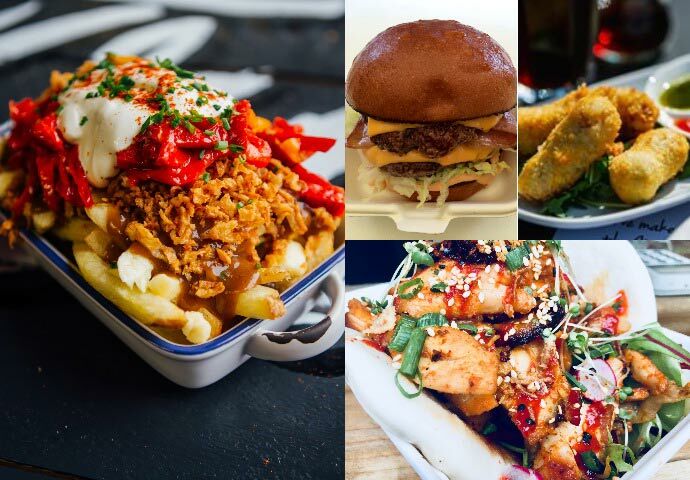 So, let’s talk street food. We’ve heard there are plans to beef things up for 2018? We just didn’t know how many people would come to eat at Illuminate the Gardens until we opened the gates last year, and the answer turned out to be all of them! This year we’ve added a load more street food and some roving vendors keeping people topped up with snacks and nibbles. And, of course, we’ll be improving our queuing systems so that it’s a better experience all round. What will we be able to tuck into? The new kids on the block at this year’s event are Proove Pizza – we loved working with them on Sheffield Food Festival and we’re really thrilled that they wanted to get involved with Illuminate as well. 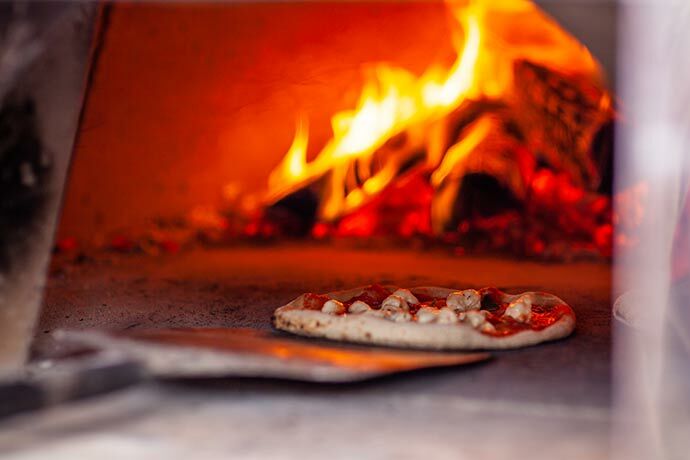 Not only will they be bringing their double oven so they can fire out their wood fired Neopolitan pizzas at breakneck speed, they’re also bringing their new Italian street food set up with arancini, crocche, angioletti and crispy fries – all served hot, crispy and fresh! And we’re chuffed to be bringing back Illuminate faves Smoke BBQ, this time with two stalls (one in the central area and one in the lower gardens) so that as many people as possible can enjoy butties stuffed with their famous pulled pork or their smoked sausage hot dogs. Add to this pan-Asian street food from Little Somboon Kitchen, poutine with ALL the toppings from The Gravy Train, gourmet burgers from Cowboys, some of the best locally reared pork sausages from Moss Valley Fine Meats, proper pie and mash from Pie Eyed, insane mezze wraps from The Ottomen, top quality organic handmade pizzas from the Sunshine Pizza Oven, and Yabba’s ever popular Jamaican cuisine. There’s something for every taste – with plenty of vegetarian, vegan and gluten free options too. And if you’re looking for sweet treats, we’ve got artisan Breton crepes from Oooh La Laa or organic vegan churros and indulgent dipping sauces from Don Churros. 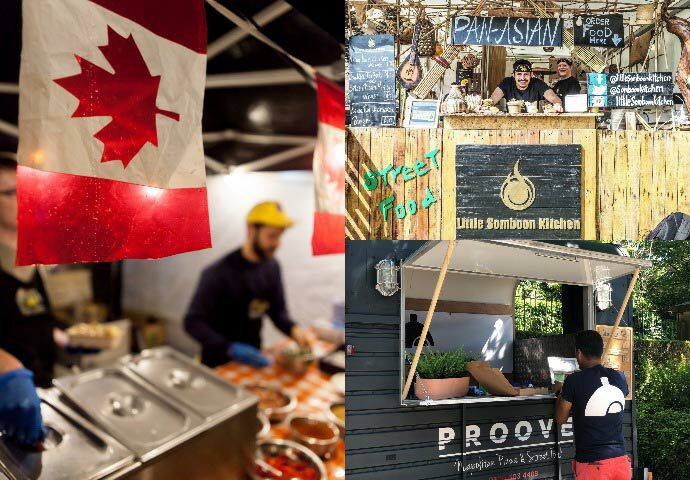 There will also be roving sellers from popular Broomhill restaurant Butcher and Catch selling its scrumptious range of savoury nibbles such as bacon candy and piggy popcorn, and the team from the local Regather trading co-op selling sweet popcorn and cinder toffee. And what about the bars? The main Illuminate bar will be bigger, better and more streamlined this year so that everyone can get served quicker and get chance to properly enjoy their pint. We’re working with some of our favourite local breweries once again, with Stancil Brewery’s signature Sheffield Pilsner always extremely popular, and Bradfield Brewery’s Farmers Blonde and Belgian Blue making a return to the bar. 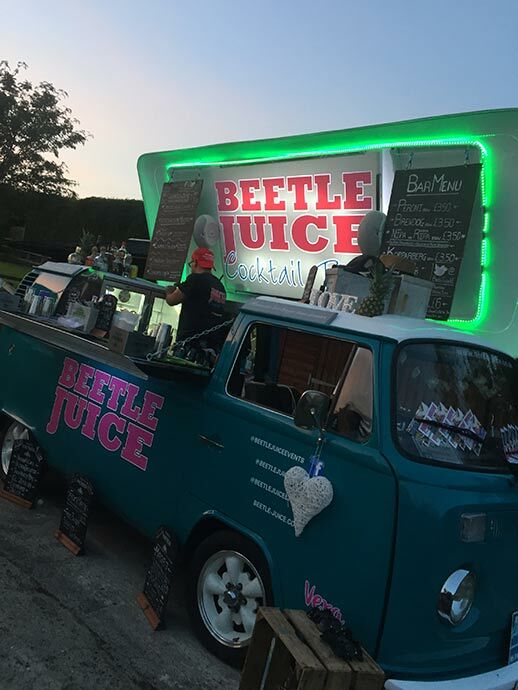 As well as our good friends Mr D’Arcy’s Drink Emporium selling winter warmers such as mulled wine, mulled cider and Baileys hot chocolate, we’re also bringing in the fantastic Beetle Juice cocktail bus, which was a huge hit at this year’s Sheffield Food Festival. They’ll be selling freshly shaken cocktails using premium spirit brands, Aperol Spritz, canned craft ales, fruit ciders and soft drinks. What else should people keep an eye out for? 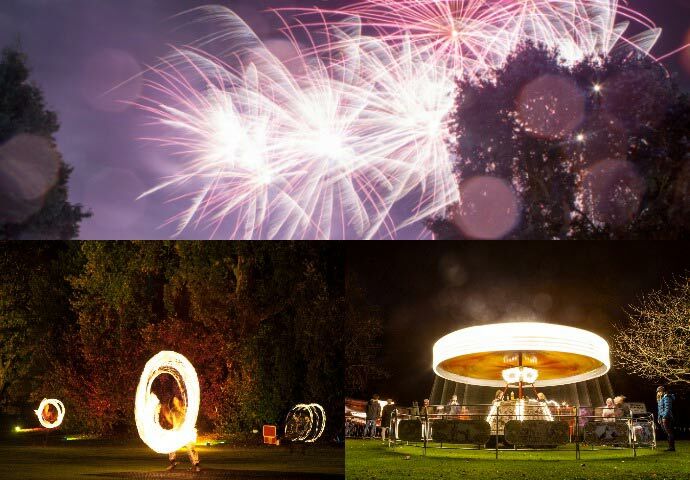 We’ve got loads of things happening around the gardens to encourage people to keep moving and keep warm in between the fireworks shows, such as: pop-up performances from buskers, fire performers and light up poi dotted around the gardens throughout the night; vintage fairground rides for the kids in the lower gardens; an interactive shadow puppet light installation created by local artist Liz von Graevenitz; free kids activities from Regather, Ignite Imaginations and the British Science Association; a Sound Sculpture Garden installation in the Marnock Garden; and some wonderful decorative features designed by renowned local company Cloud 9 Decor.